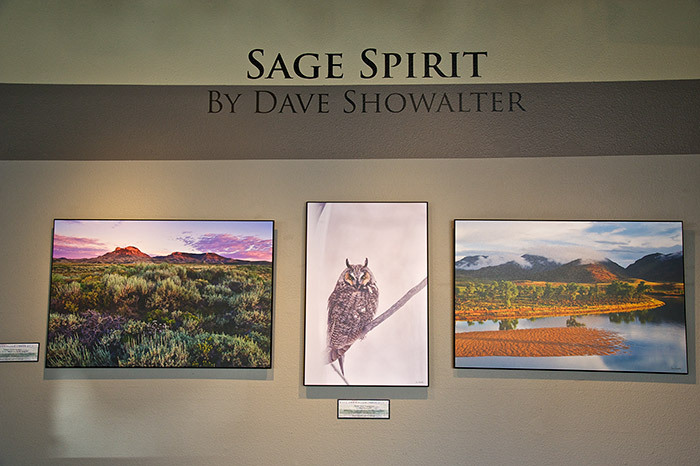 Nature prints that are rich in detail and color are a great way to add beauty to any room in your home or office and I am proud to offer a wide variety of sizes to choose from. DuraplaqTM Mounting is a beautiful and durable mounting option that works well in any room. I work on each custom print individually in my "digital darkroom" to assure that colors, detail and sharpness meet my criteria before sending to a custom lab to create a beautiful print that meets my specifications. My archival prints are printed on professional paper that holds color and detail and looks great mounted. All prints are signed. Simply click on the "Click Here To Order" link when viewing an image and select the size that works for your space. "I just wanted to let you know the Huascaran print arrived safely, and it's beautiful! Norris loved it, and we'll have it properly framed for him. Your photography is beautiful, and I'll definitely have you in mind for future prints! Thank you also for packaging it so carefully and nicely.......it stayed perfectly safe." "It is beautiful!!! Arrived safe. Thank you very much. He will love it!" Melanie from Texas ordered a 20-x30" canvas wrap as a gift. The DuraplaqTM Standard substrate is a 3/8" HDF board that is 100% recycled, environmentally friendly and is pre-laminated on both sides and finished with a "box" frame. The finished picture has a clean look and the matte laminate greatly reduces glare, allowing you to see the image. DuraplaqTM mounted prints can be cleaned with your normal glass cleaning products and are extremely durable. 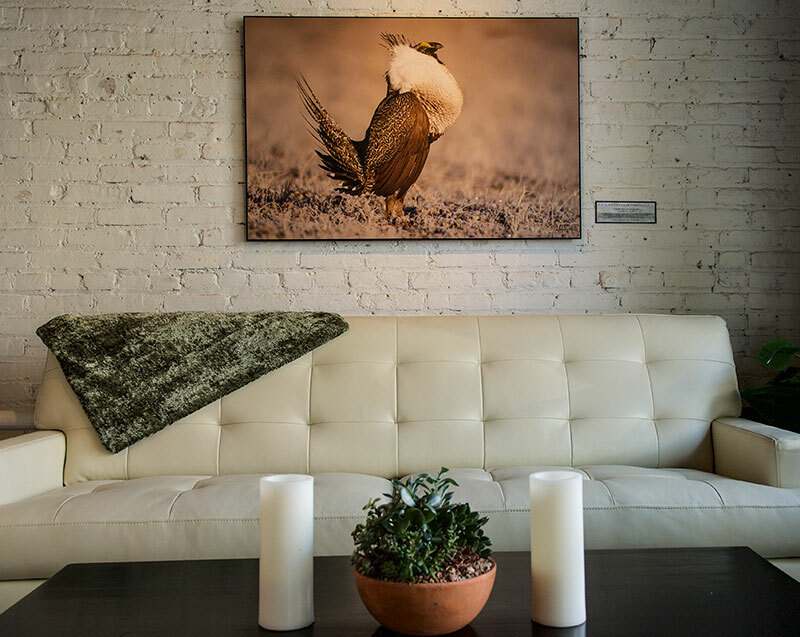 30x45” Greater Sage-grouse Duraplaq™ Gallery Float with black edge at Denver Photo Art Gallery. There are many options for matting and framing and I'll be happy to work with you directly on this classic presentation style. There are unlimited options for both matt and frame styles; so I prefer to handle these orders on a custom basis. Just contact Dave to discuss options. I have eliminated shipping costs within the U.S. - the price you see is the price you pay. Simple. **International orders require an added shipping charge. Contact Dave for a quote. All of my prints are guaranteed for 100% satisfaction. Although I sell only archival prints, I recommend that they be displayed away from direct sunlight. 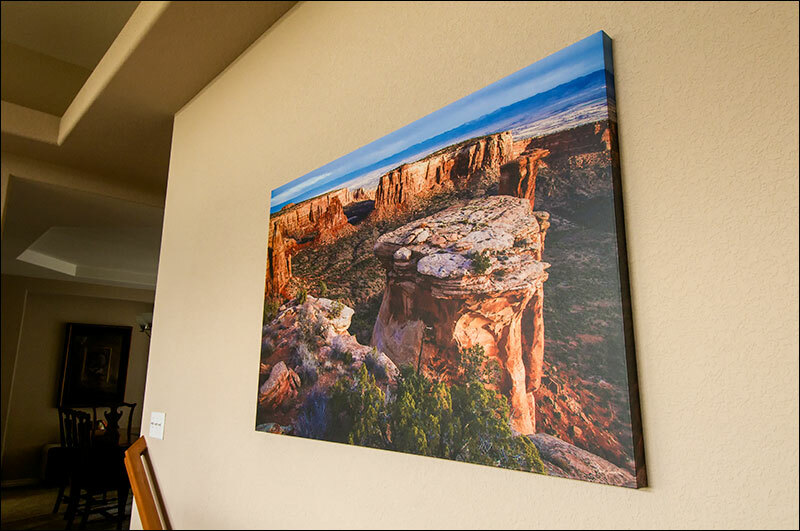 32x48” Colorado National Monument Canvas wrap with matte finish on a large stairwell wall in a great room.